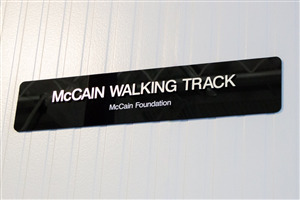 The McCain Walking Track is an air conditioned, rubberized surface for walking and running. 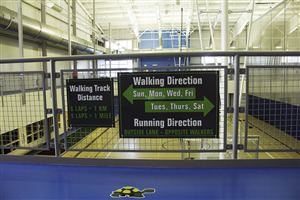 The track is located at the top of the stairs on the second level, and overlooks the Field House. FREE! 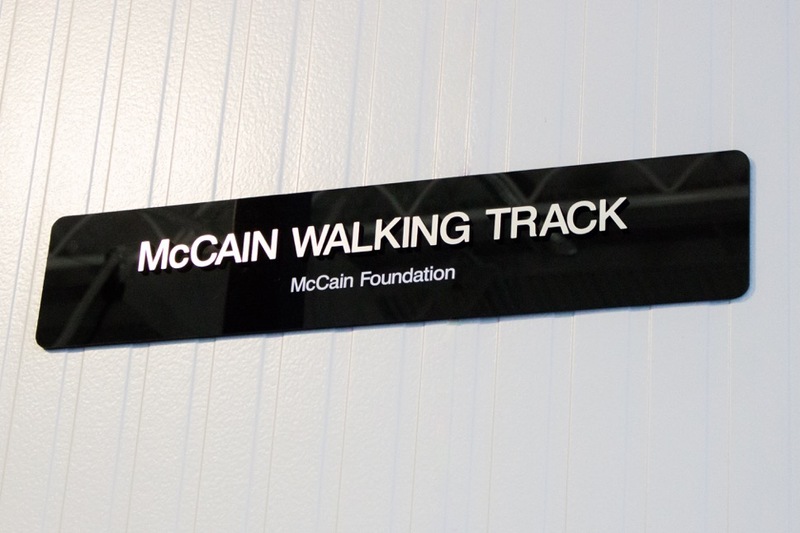 The McCain walking track is open to the public free of charge. Runners are to run in the opposite direction as walkers. The inside lane is designated for Walkers. The outside lane is designated for runners.